Move over, Cabernet – there’s a new fabulous wine varietal in town! 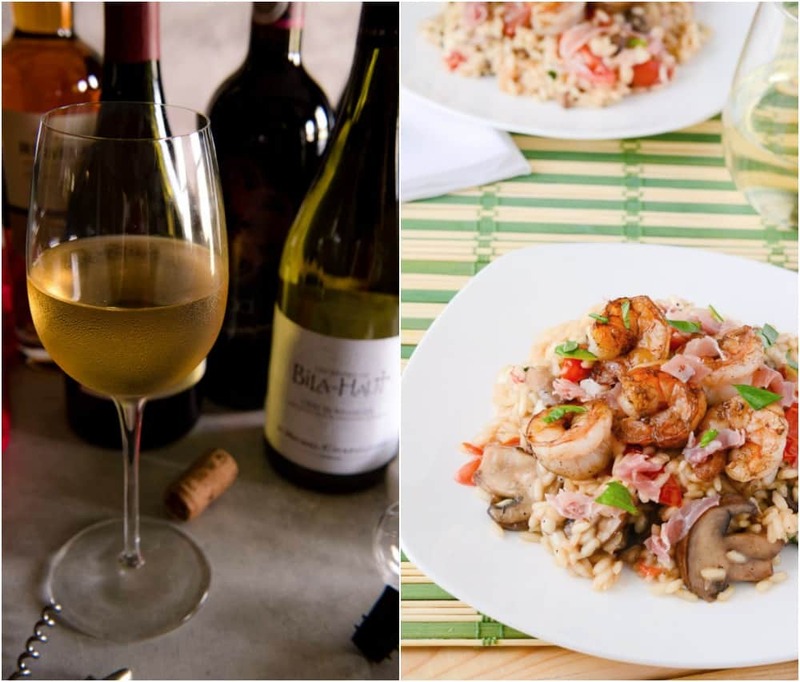 Wine pairing Garnacha (Grenache) is a simple task that yields delicious dinner results. This recipe is sponsored by Wines of Garnacha/Grenache. Yes indeedy, it’s time for cooler weather and sweaters and leather boots; pumpkin is no longer allowed to be scoffed at, and Halloween decorations are expected on every lawn. I am beyond ready to open my windows and let the nice autumn breezes air out the house. I’m looking forward to enjoying my nightly glass of wine outside instead of in. Over the past few years, my appreciation for different wines has grown so much. It was only a matter of time before my inner wannabe sommelier came out to play. Trust me, I really know nothing about wines aside from what I like versus what I don’t. But I’ve always liked to do research. Wouldn’t you know I managed to find a wine I knew nothing about? 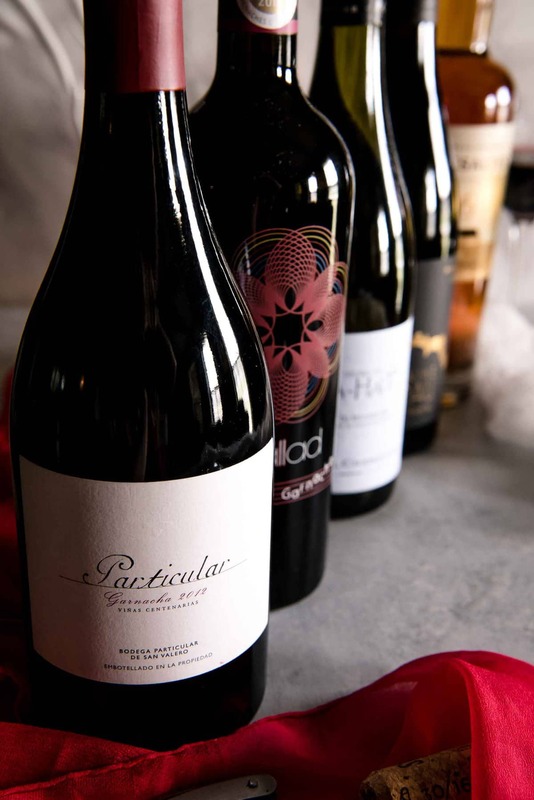 One of the worlds oldest grapes, Garnacha originated in Spain but has since expanded to Southern France, Italy, and the US, where they are known as Grenache. The only major grape variety that grows red, pink (grey) and white, they uniquely take on the characteristics of where they’re grown – resulting in a wide range of flavors and aromas. Which equals an equally wide range of new, diverse, and innovative wines to enjoy for any occasion. Not only can you pair these wines with just about anything, you can do so without breaking your bank! Garnacha wines are incredibly affordable. Please graduate from the box wine like I did and give one of these a try! Les Vignes de Bila-Haut Côtes du Roussillon Blanc | This white blend gave off the floral aroma of lemon when we popped the cork. It was light, crisp, and refreshing, and would pair well with our Mushroom Caprese Risotto, as well as any salad, fish, or pasta dish. Ballad Old Vine Garnacha | Fruity and spicy, yet smooth, this Spanish light red was easy to enjoy even without a meal. 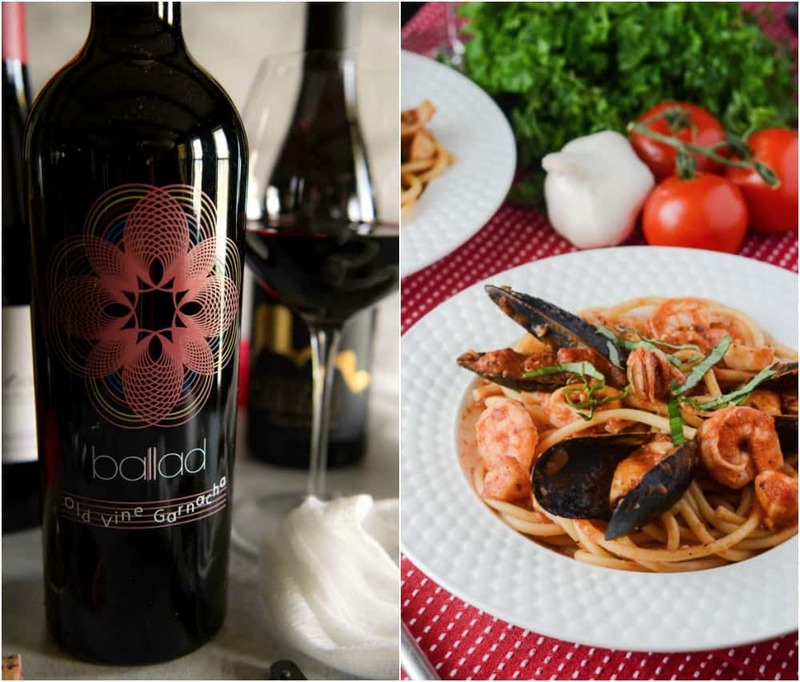 When pairing this one (and similar) with dinner, try our Seafood Fra Diavolo with Bucatini, or your favorite BBQ, poultry, or salmon. Particular Garnacha Old Vine | This was a very bold, peppery red with lots of fruity notes. It was pretty dry but easily paired with the takeout pizza we had with it. 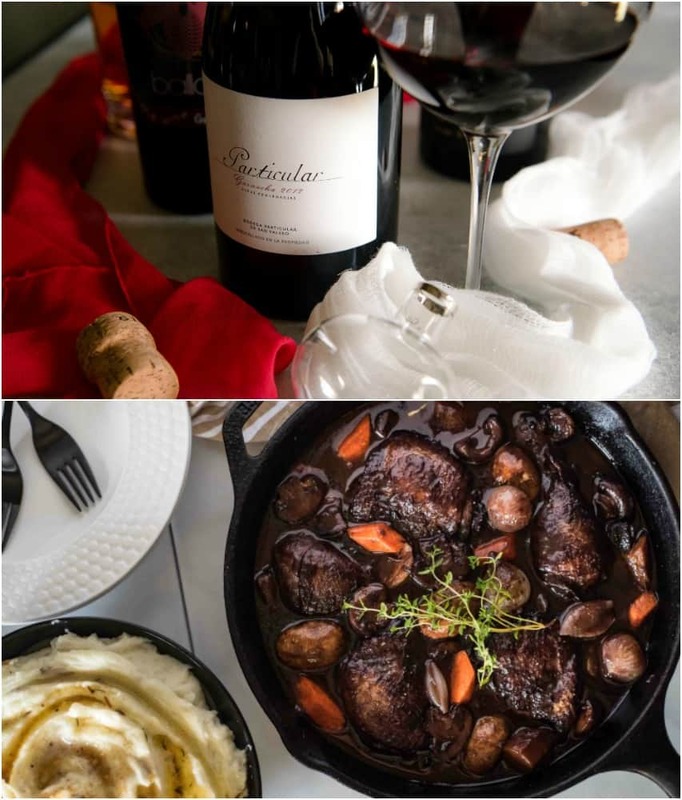 Our delicious Coq Au Vin would really make this wine sing, as well as any pasta or game. Domaine Cabirau Serge & Nicolas Maury Sec | This blend was my favorite of the five varieties! It smelled wonderful and was incredibly fruity and oaky at the same time. Velvety, fairly dry, but highly enjoyable. 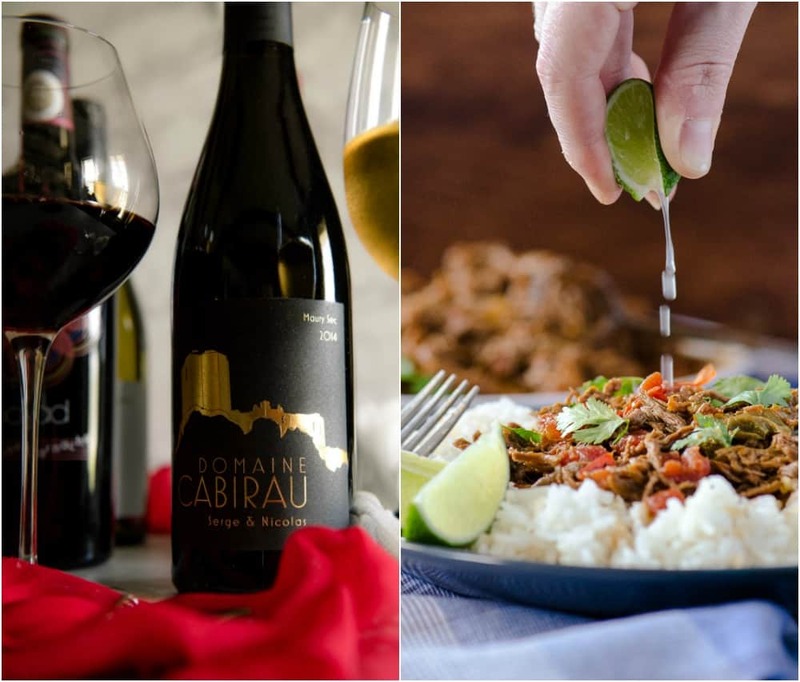 We enjoyed the bottle with grilled steaks, but our Ropa Vieja or a good lamb dish would be perfect for this wine. 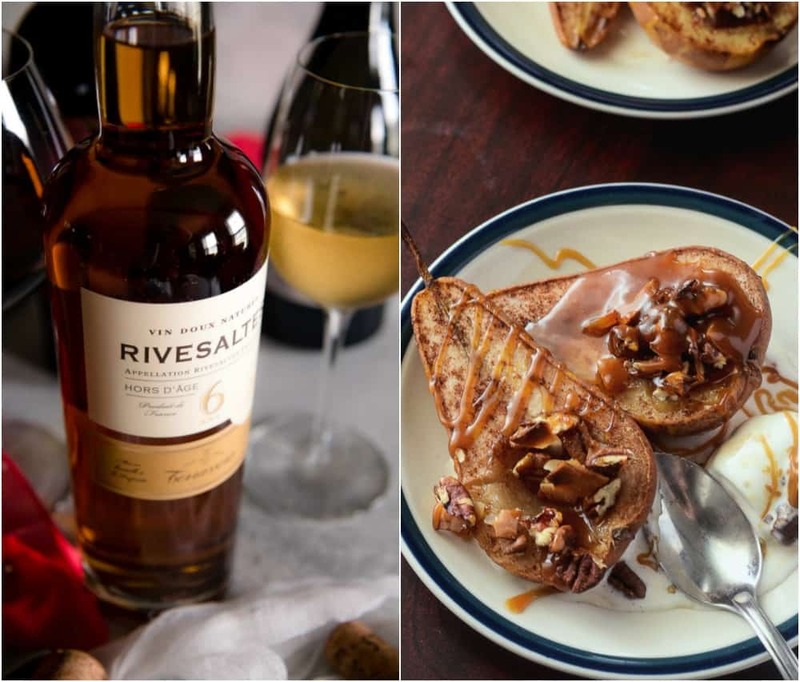 Terrassous Rivesaltes Hors d’Âge 6 Ans | I don’t normally do dessert wines. I started my wine journey drinking Moscato d’Asti and Sangue di Giuda, which I can hardly stomach anymore. This wine was opened to share around a cheese board, and it went very well with everything on it – I even had more than a few sips. Our Caramel Coconut Pecan Baked Pears would bring out the dried fruit notes in it, but a big slice of chocolate cake would also be a delicious choice.